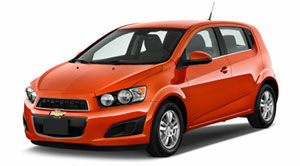 Chevrolet Sonic on its Way Out? Kelley Blue Book has just published its rankings of the 10 coolest cars under $18,000 USD for 2017. Which one’s your favourite? The 2017 Chevy Sonic Premier stands out as a sporty-looking little hatchback with many strengths and few weaknesses.